Summit ESC 2019 Leadership Symposium will be held August 1&2, 2019, at the Cleveland Marriott East. 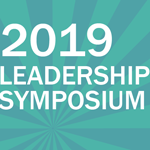 Summit Educational Service Center's 2019 Leadership Symposium registration is now open! Our featured keynote speakers are Dr. Stephen Sroka, President of Health Education Consultants and Bruce Boguski, Motivational Speaker, Winner's Edge. Breakout sessions include presentations by Ashland Univeristy, NEOnet, Ravenwood Mental Health, Sandridge Foods, Summit ESC's Curriculum and Instruction dpeartment, and Summit ESC's Student Services department. Click here to register- Don't Miss Out!